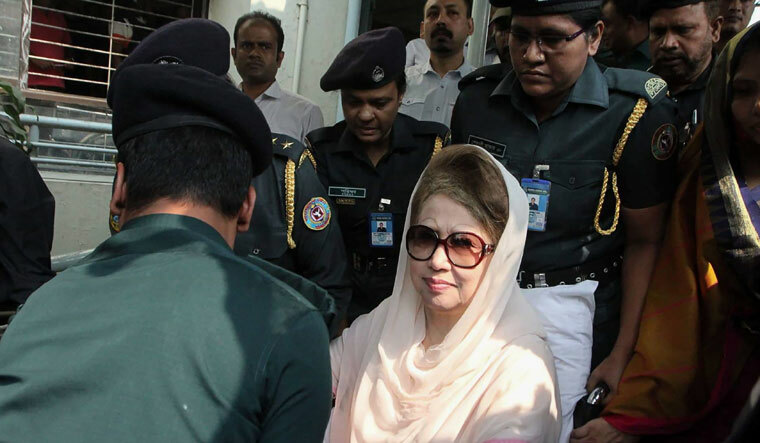 BNP Chairperson Khaleda Zia filed an appeal with the High Court seeking bail for her in a case filed over the killing of eight people in an arson attack on a bus in 2015 in Cumilla. On behalf of Khaleda Zia, her lawyer Kaisar Kamal filed the petition with the concerned bench of the HC on Wednesday. The petition will move forward the bench of Justice AKM Asaduzzaman and Justice SM Mozibur Rahman for the hearing, said the lawyer. Earlier on February 4, Cumilla Additional District and Session Judge Mohammad Ali Akbar rejected the bail petition of Khaleda Zia in the case. Eight people were killed and at least 20 others injured in a petrol bomb attack on a bus at Jogmohanpur in Chouddagramupazila on February 3, 2015 during the BNP-led alliance's movement.